The Lincoln Navigator from Ford was one of the first all luxury SUVs to hit the market. Powered by a 5.4L V8, this SUV achieved high sales growth in the late 1990s and on to the mid 2000s. The initial high price of the Navigator did not phase those drivers that wanted pure luxury. The second generation models were priced less, but included a redesign and upgraded amenities. We have Ford Lincoln Navigator engines for sale that are ready to ship from our warehouse. Our remanufactured and used Ford replacement engines are priced right to move out of our facility fast. We know that our customers are searching for a great deal and that’s what they get. Both the Triton and InTech V8 Navigator engines are found in our engine database. These powerful engines are also used for other popular Ford vehicles like the F-150 series trucks. These are perfect for medium-duty applications and the high torque is essential for towing large items with ease. As other automakers are only concerned with fuel economy, the Navigator and 5.4-liter engine give drivers what they really want and that is power and luxury. Each of our V8 engines are hand picked by our expert Ford engine staff. We know exactly what to avoid and what to purchase to ensure high quality. 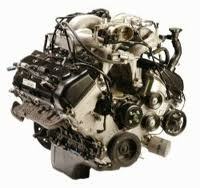 We differ from a lot of engine sellers in the way that we prepare engines for sale to our customers. We know the value of truth and accuracy when we describe our engines. We don’t get complaint letters or phone calls because our engines are not as listed upon arrival. Our engine shop has all of the tools and features that are required to evaluate every engine that is purchased. Every 5.4L Navigator engine goes through the same rigorous testing. Our used engines are put through a visual and digital testing by our dyno computer. Our remanufactured engines are also tested both before and after the rebuild is completed. When the testing rounds have been completed, it is only then that we put each engine up for sale in our engine inventory. We warranty what we sell as an added bonus when you make a purchase. Since most sellers don’t ever give out warranties, we help sweeten the deal when you buy from us. We already save you a lot of money on the price and we give you our excellent warranty coverage for no additional cost. Our Ford Lincoln Navigator engines for sale are shipped inside the U.S. and in Canada. We do have customers in other parts of the world and happily ship engines there. 1-877-630-3873 will put you in touch with our sales department. We don’t try to sell to you though. We know the reason you’re calling is to get our low price. We give you our low price, answer all of your questions and let you decide when you would like to order your Lincoln Navigator engine. Use our Ford quote form to get the same low price sent straight to your email inbox.